See scan - perfect condition. This is a nice and rare 1965 Communist Bulgaria award decoration issued on the occasion of 20 years anniversary of the State Navy / Naval shipyard "George Dimitrov" in Varna. The medal has nice enamel work and is 1st Class gold plated / gilted metal. Diameter is 24mm and obverse also shows a ship under construction. 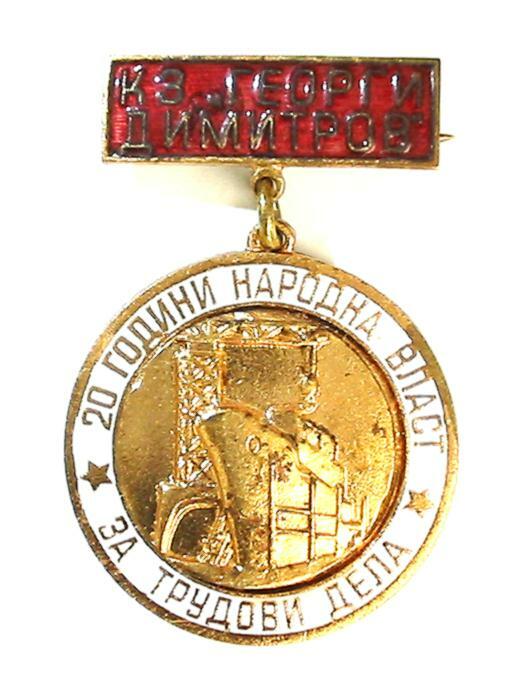 Nice and rare nautical and Bulgarian marine fleet collector piece and one of the nice Bulgarian medals and decorations.